Theta - What Does It Mean? What is the definition of the term "theta" as it applies to the world of options? 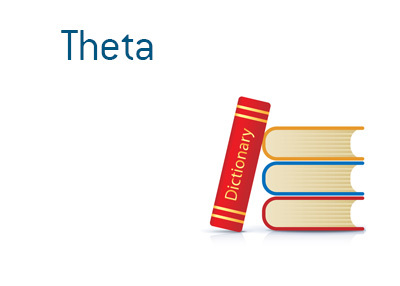 What does "theta" mean? In the options world, "theta" is the rate at which an option loses its value - otherwise known as "time decay". Options have a number of different components that end up generating their total value, including intrinsic value, time and volatility. As you approach the expiration of an option, its time value will decay. For instance, an option that expires in one month will have much less value than an option which expires in six months - this is time premium. An option that expires tomorrow will have practically no time value, while an option that expires in a year will have plenty. People who like writing options love "theta" due to the fact that "theta", assuming that the option doesn't move in the wrong direction, will pay the writer of the option on a daily basis.